Together with its immense and overwhelming beauty the sea brings with it one of the most hostile environments to building materials that exists. Designers, builders and architects must consider which material to specify in these areas so that they do not corrode, rot or crumble away with these harsh conditions. Exposed concrete, unprotected metal, untreated wood and many more unsuitable materials will experience a very short life span in the coastal environment. The combination of salt, humidity and wind will eat away at unprepared materials. There is no getting around this or taking it lightly, we have seen screws and bolts disintegrate to a dusty red powder and disappear literally into thin air. 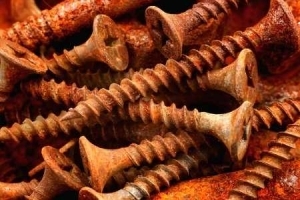 You would not want this type of bolt holding any part of the structure or anything of importance in this kind of environment. 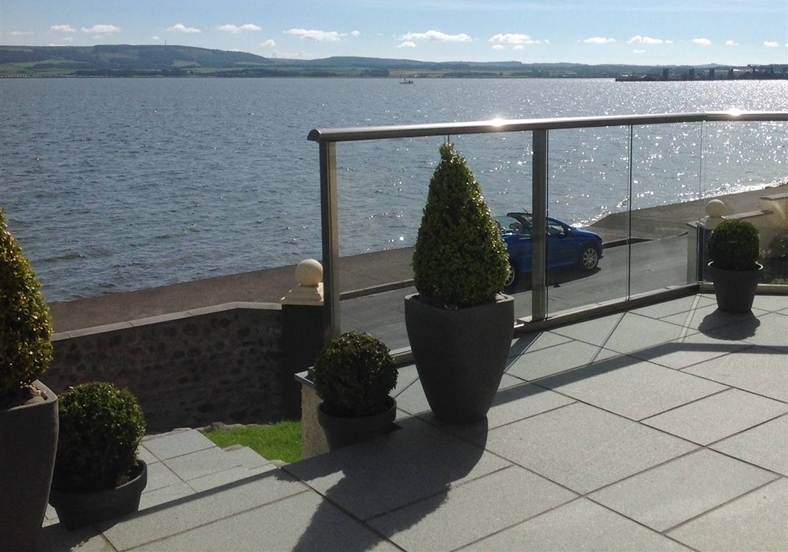 When designing a balcony structure, a balustrade or glass railing in this sort of environment there are some basics one must never fail to follow. When choosing a metal to use as part of the balcony structure, the handrail or the retaining bottom rail, posts etc., it is essential to understand the corrosion resistance of each of these materials in relation to its function and position within the building envelope. Stainless steel – Materials such as 316 (marine grade) stainless steel and anodised aluminium have very good corrosion resistance. Most types, but in particular lower grade stainless steel will “tea stain” and the only way t avoid this is to use a highly polished type and /or clean it regularly with a special cleaner that removes these superficial deposits. It is important to note that the tea staining on stainless steel is superficial and it will not corrode or compromise its structural integrity. Anodised aluminium – Anodised aluminium is very corrosion resistant and is the preferred material in buildings today. Used for external curtain walls, doors and windows and certainly for Balustrades, fascias and balconies the aluminium market has overtaken all other materials in this respect. Using anything that is lower in grade than these two materials will result in the material requiring replacement in a short time and will out-weigh and initial saving on material type. 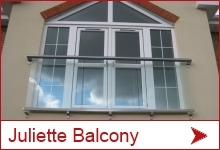 It is therefore not recommended to use anything less than anodised aluminium or marine grade stainless steel. You may think that because the fixing sits embedded in concrete or another material then it is not exposed to the elements or corrosive salt air. 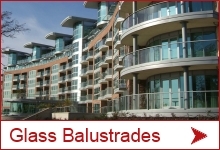 You will be mistaken and fixing in a coastal environment must be stainless steel, preferably A4 (again marine grade, A4 is the reference when dealing with fixings but is in essence the same as 316). A2 fixings will work and if not visible will be jast as fine usually. The difference in cost is not huge and A4 will always be a safer bet. This is a new field, not widely known or used yet but not to be underestimated. 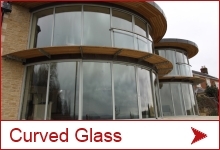 Glass is a very durable material but glass is NOT immune to corrosion or contamination. The life of glass, or to be more specific, the clear life of glass depends very much on its surface condition. Have you ever wondered why glass gets more opaque as time goes by? Well dirt, salt, calcium, bacteria, grime and many more elements get deposited in the microscopic pits in the face of glass. Marine conditions put glass through a rough life of constant abrasion with salty and sandy air which slowly but surely deteriorates the face and surface of the glass losing it its shine and clarity. The age old saying that cheap is expensive remains true here. Choosing the right material, one that has the correct surface protection and attributes, in a marine or coastal environment, can not only make the difference between success and failure of a structure but will also save you grief and money in the longer run.